The MILKSENS project is dedicated to the improvement of milk quality control for the benefit of the agriculture of Hungarian-Slovak cross-border region. The proposal is based on the technology transfer of recent scientific analytical developments to the industrial sector. The aim is the industrial adaptation of novel analytical tools allowing the determination of protein breakdown processes, with special emphasis on the characterization of compositional changes in milk. Protein degradation has many times beneficial effects in dairy industry, such as in flavor development and texture changes, however uncontrolled processes can also adversely affect food quality. Academic and industrial research entities are cooperating in the present project to establish methods and develop sensors capable to follow those quality changes of milk which are not routinely measured. The project partners form a common research infrastructure composed of analytical instrumentation, as well as scientific and practical knowledge. Hence, the cooperation is providing expertise from standardized routine qualification to pioneering sensor developments. 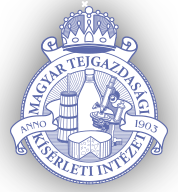 This joint effort ensures the success of the project outcome and also the exploitation of mutual benefits in research work, as well as in Hungarian and Slovakian relations. MILKSENS project is to be continued in the frame of FORMILK project submitted to call H2020-MSCA-RISE-2015.